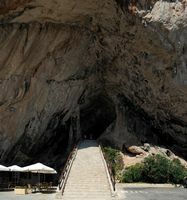 The Artà Caves are a series of caves located in Canyamel on the eastern coast of the island of Majorca. 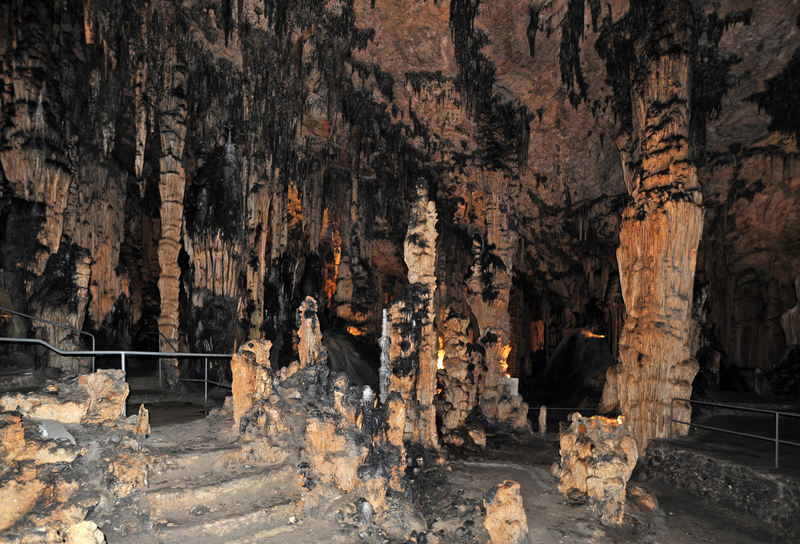 The Artà Caves are called Coves d’Artà in Catalan and Spanish Cuevas de Artà in Castilian Spanish. 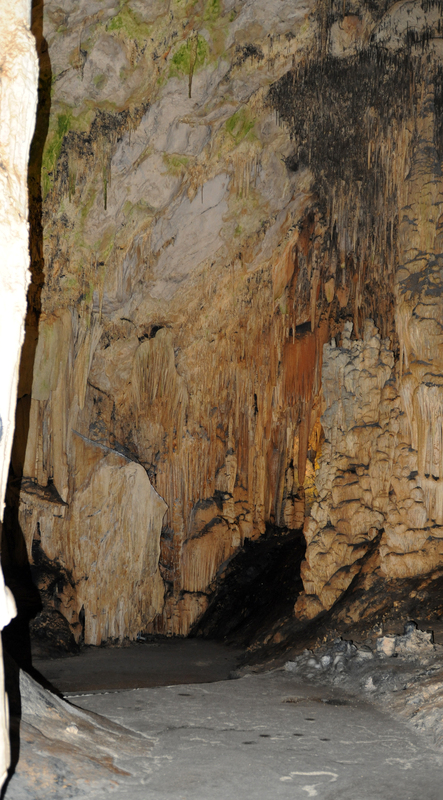 The name of Coves d’Artà back to the time before 1858, when there was not yet a common independent Capdepera. 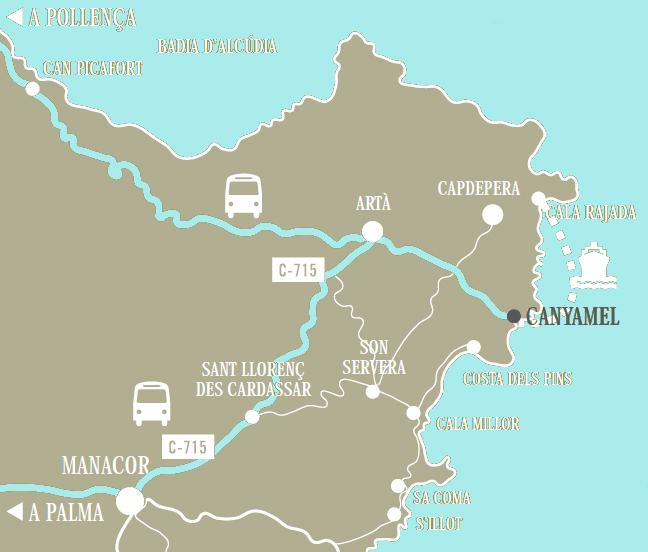 Capdepera and Canyamel, as well as the neighboring town of Son Servera, belonged to the great commune of Artà. 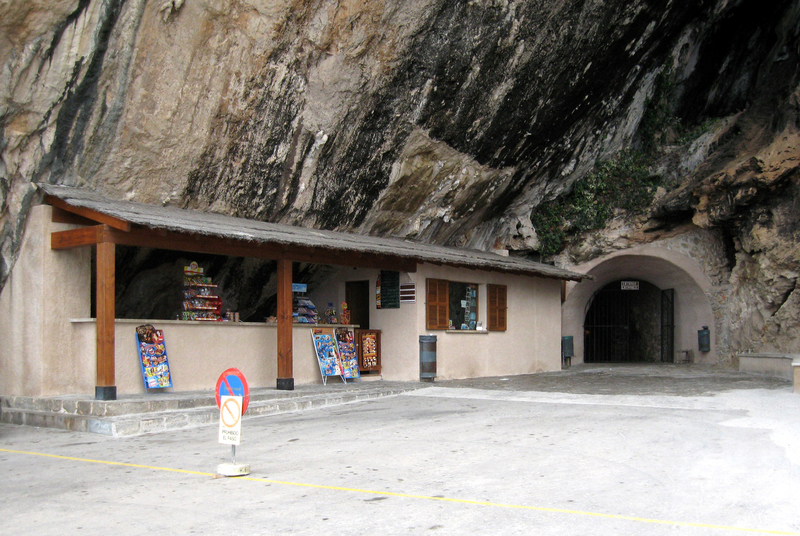 Sometimes caves are named Canyamel Hermitage Caves (Coves de s’Ermita / Cuevas del Ermitaño). The Artà Caves are located on the southern flank of the Cap Rouge (Cap Vermell / Cabo Rojo), at the foot of a hill overlooking the sea Cap Vermell is in the eastern part of the municipality of Capdepera. 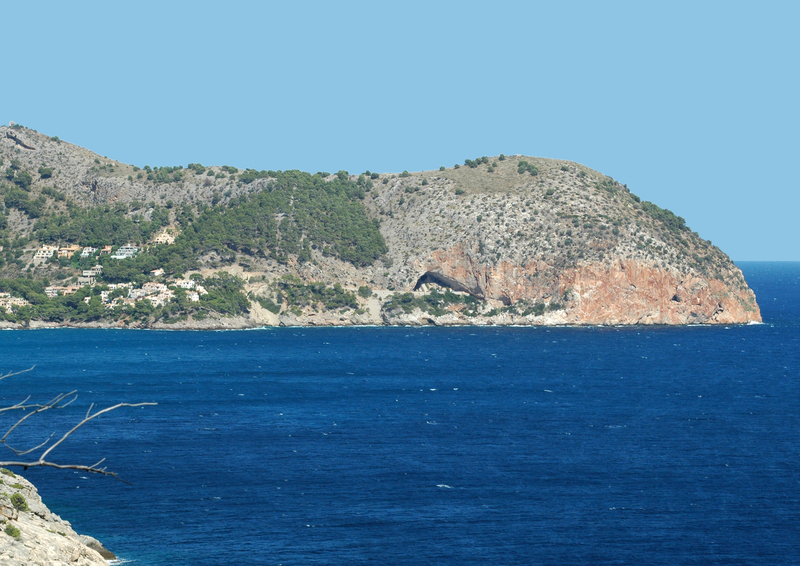 The Cuevas de Artà open onto the small bay of Canyamel where the torrent Canyamel leads. 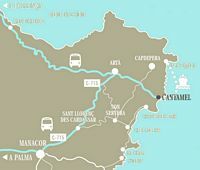 Caves are accessed by a beautiful coast road, a parking area is located 150 m west of the entrance to the cave. 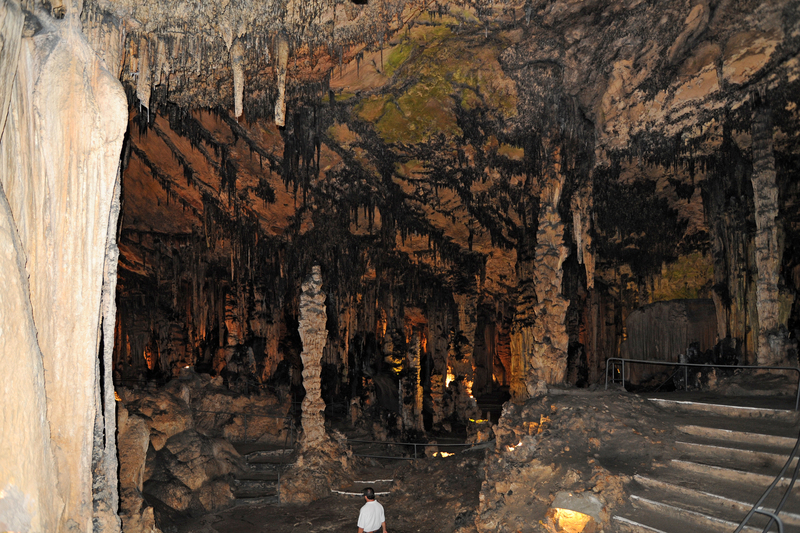 The Artà Caves are 15 km northeast of two cave systems in eastern Majorca the Dragon Caves (Coves del Drac) and Hooks caves (Coves dels Hams) in Porto Cristo. 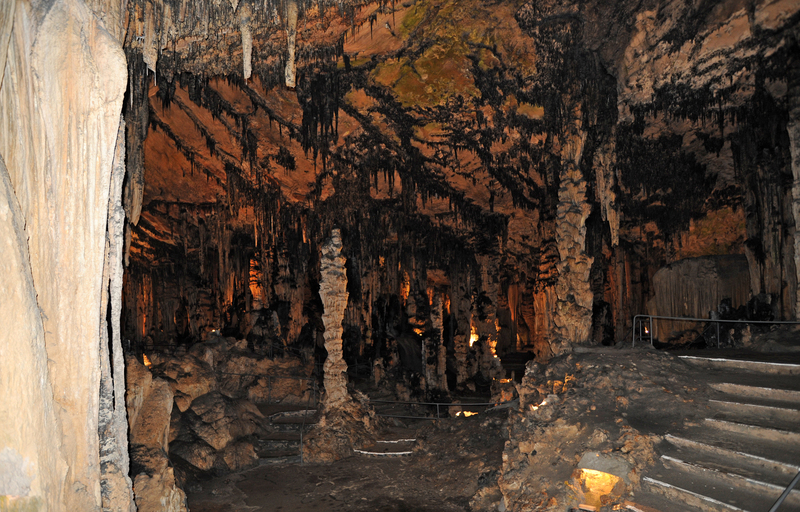 These other caves are better known and more popular than those of Artà. 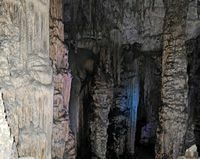 Visiting the caves of Artà through a series of rooms which some names were inspired by "The Divine Comedy" by Dante Alighieri: The Vestibule, the Hall of Columns, the room of the Queen of columns, the room of the Hell, the Paradise room, the room Flags, the room Bells and Diamonds room. The course has a length of 400 meters. The temperature is constant all year round, at 17 °C. The natural entrance to the cave is a large monumental arch carved into the rock, a hundred meters wide and 25 meters high, located above the court. 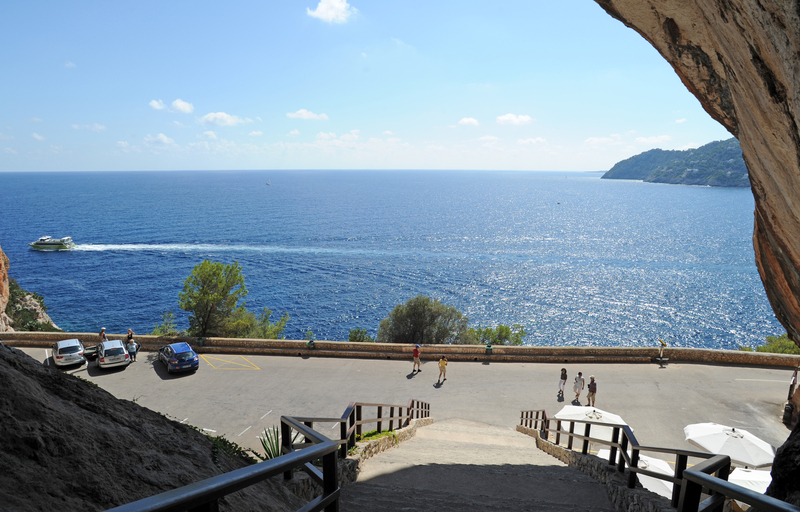 The natural entrance is located 35 m above the sea level: from the forecourt is accessed by a stone staircase built in 1860. 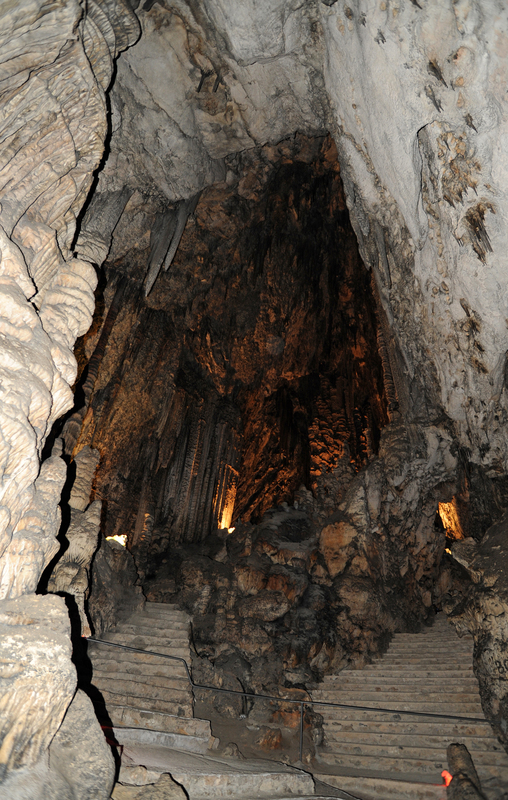 The entrance to the visit does not take place by the natural entrance of the cave, but a hole in a natural nook named Caballeriza (the stable), located to the left and below the natural entrance tunnel. 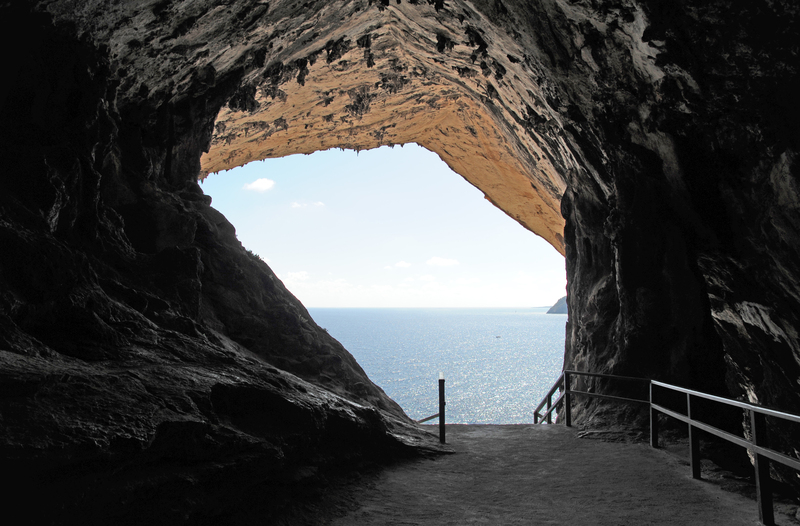 After traveling the entrance tunnel and going down a long stone staircase, you enter the large room entrance, known as the Vestíbul (the "Lobby"). 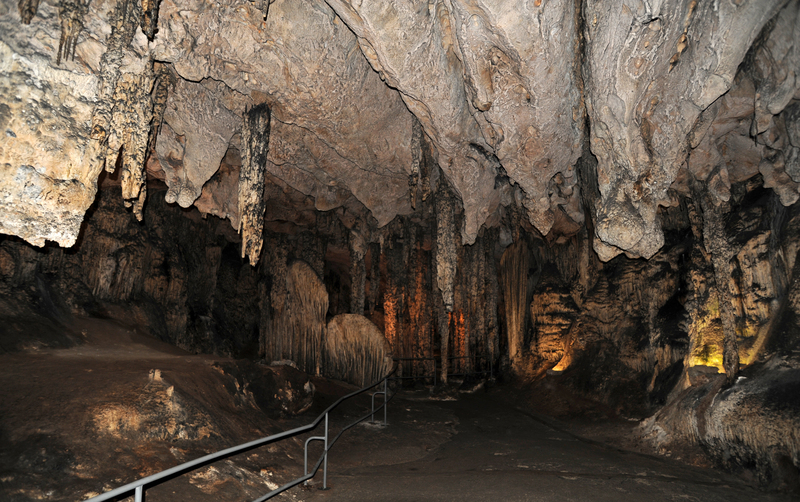 This room measures 75 m in length, between 20 and 40 m wide and 15-25 m high. 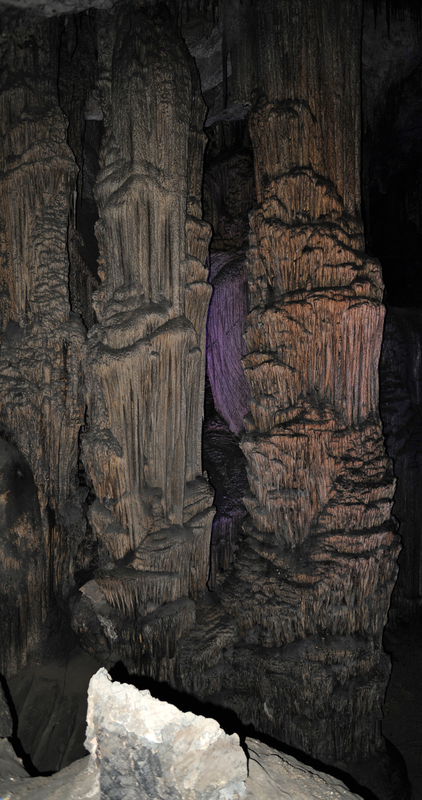 The "Lobby" contains numerous stalagmites, elegant and slender, which rise gracefully to the ground. They look vaguely human forms, and still mysterious, indifferent to human eyes. 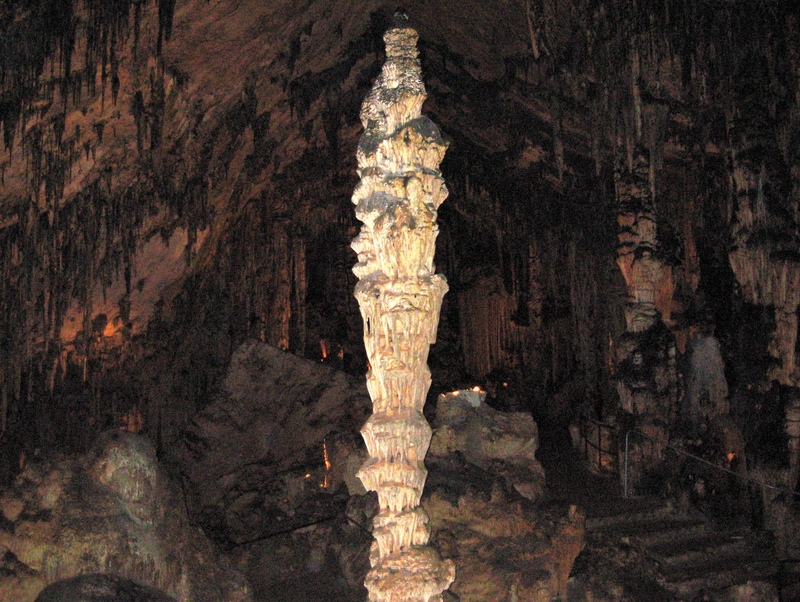 The most notable of these is called stalagmites la Virgen del Pilar (the "Virgin of the Pillar") (number 16). Since the room hallway takes a path to the left and leads to the "Hall of Columns". 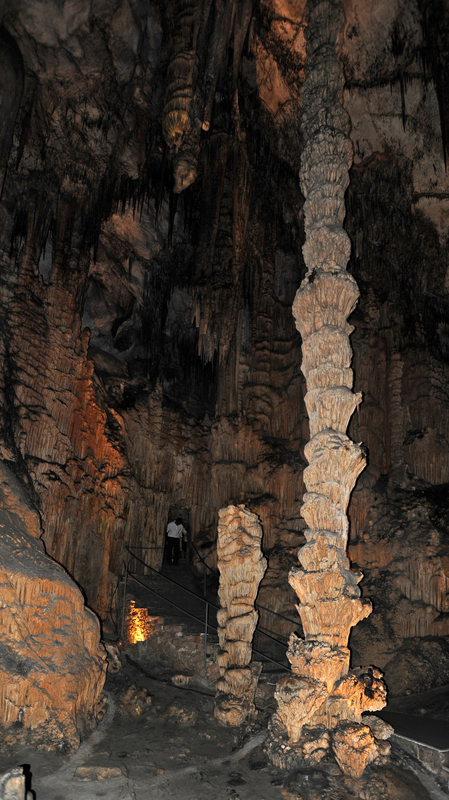 Most of stalagmites and stalactites are gathered here in columns from floor to ceiling. The whole takes on the appearance of the interior of a Gothic cathedral, dotted with slender columns, slender pointed arches, canopies and watermarked thousand other details. Since the Hall of Columns entered through a high oval porch in the room of the Queen of Columns. In the middle of this large room, vaulted ceiling, stands a column called "The Queen of the Columns" or "The Queen Moor" (La Reyna Mora), or "Antonia". 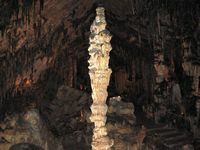 Queen of Columns is not a column but a stalagmite 22 meters high, which rises almost to the ceiling in a succession of elegant festoons. 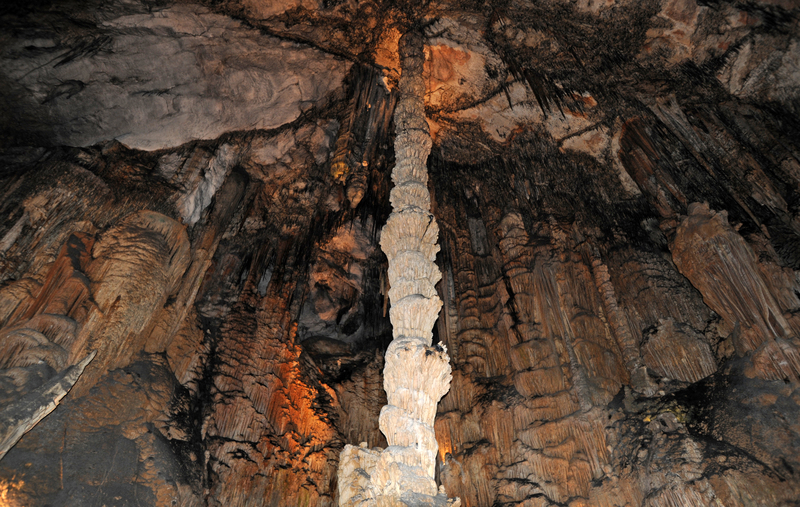 In 1841, an English company offered 25,000 pounds to acquire this stalagmite, but the sale was not completed. Individual training is called "The Tabernacle" (number 18). 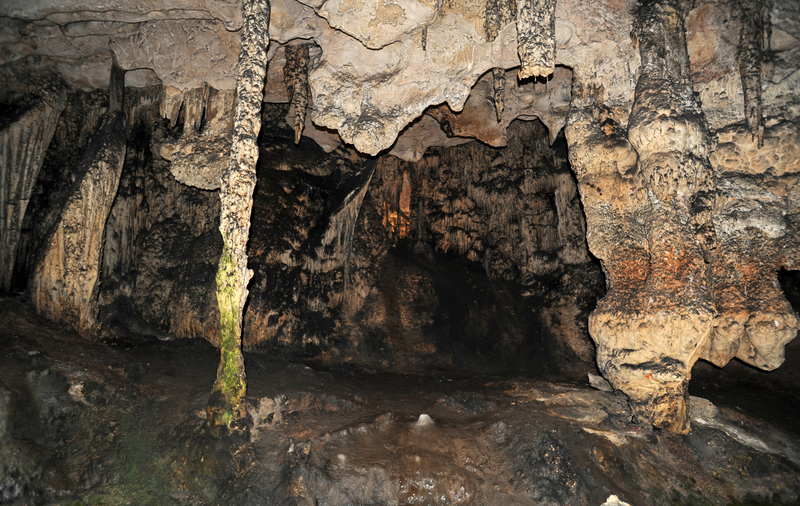 At the other end of the room is a small niche surrounded by thick curtains of stone: this set is called the "canopy" or "canopy" (dosser / dosel). After descending a staircase and through a small room called "The Antechamber of Hell", which includes a broken column in an earthquake, we arrive at the living hell. 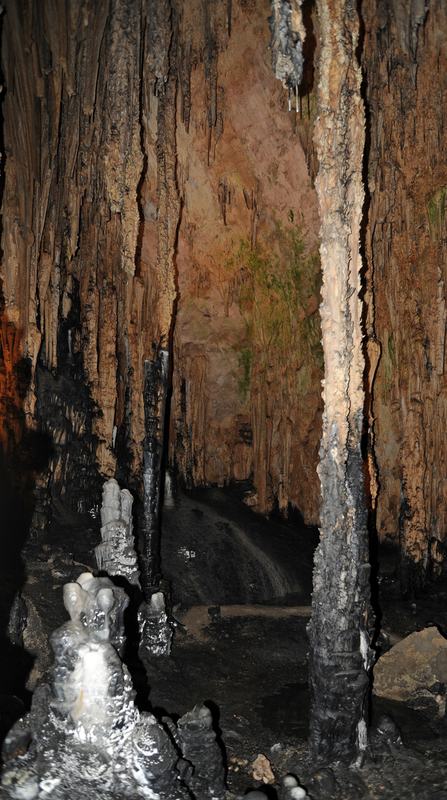 The living hell is a huge room, one of the largest and most impressive caves of Artà, which contains columns, rocks, stalactites and stalagmites, and on the left, a curtain of stone large folds falling from a great height to the ground. 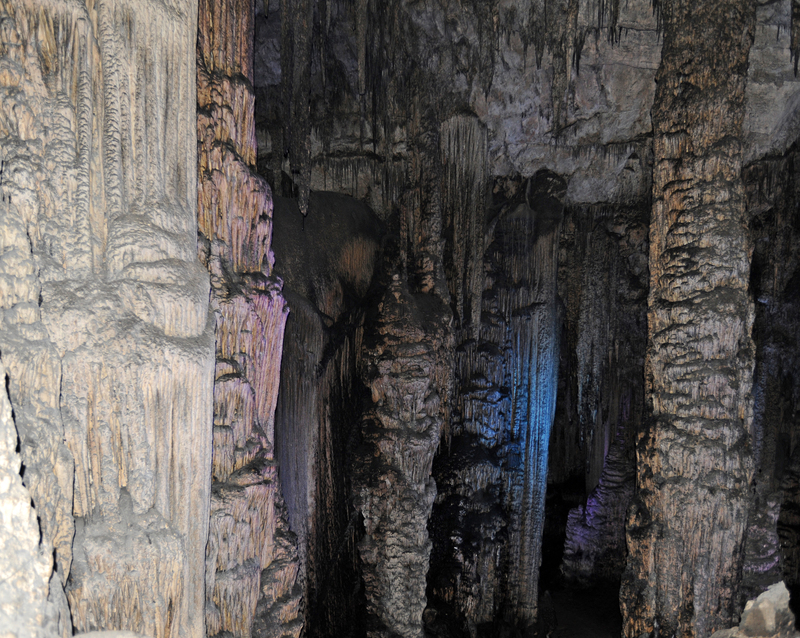 The limestone pillars are thicker here than in other parts of the cave. In the lower part of the living hell is a formation called "The Coffin of Napoleon". 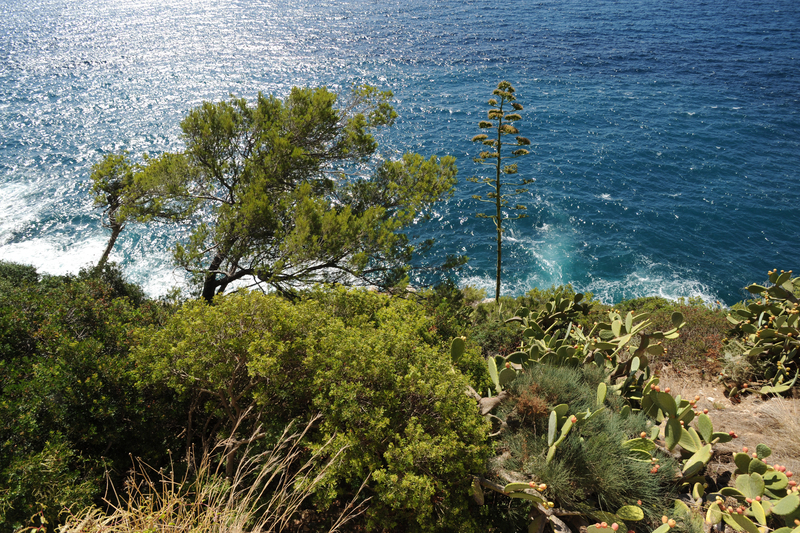 Another training like a stone tree 4 m high, is named "The Cypress". The visit is a short stop, 3 minutes in the living Hell, during which there has been a sound and light show. An excerpt from Carmina Burana by Carl Orff is broadcast. 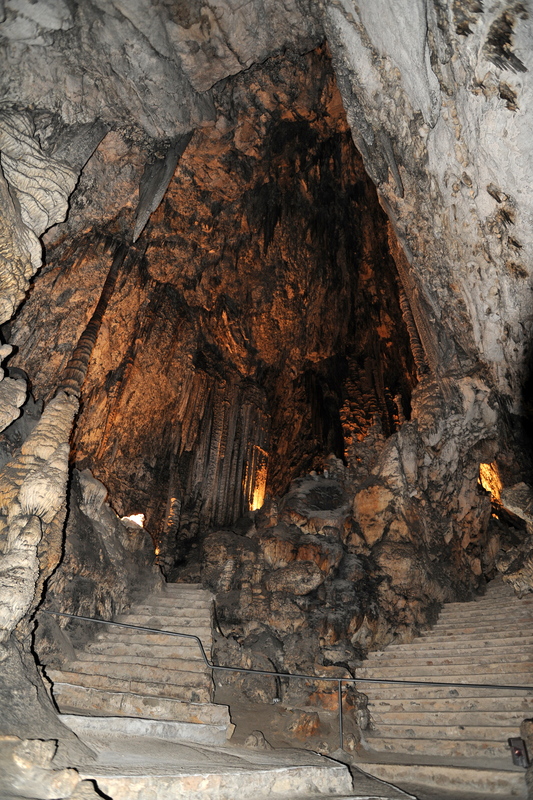 Leaving the room of Hell, you can see a formation called "The Lion" is a thick blackish and stalagmite that with imagination and observed at a suitable distance, like a majestic lion lying on the ground. Climbing stairs, we arrive at an impressive dining room known as the Glory, where you can see fantastic formations resembling angels groups white clouds scattered over the high walls of the room. For this reason, the dining room is also called Paradise. 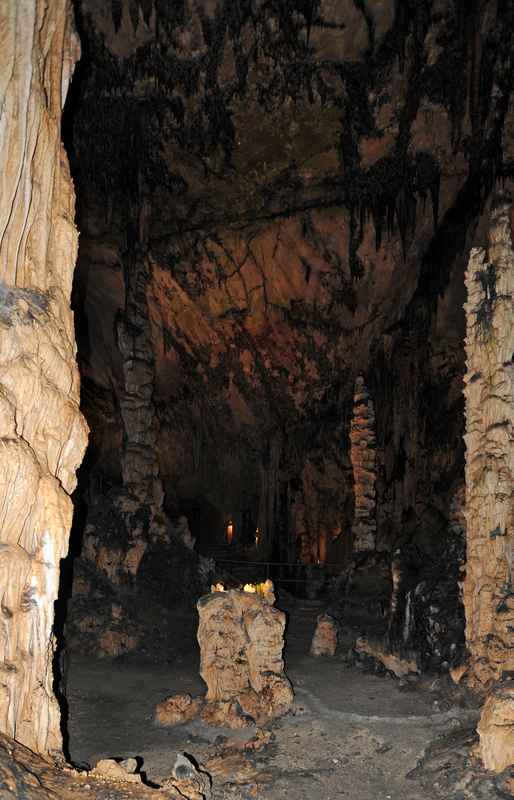 The room of Paradise 54 meters high: the largest room of the caves of Artà, it looks like the nave of a cathedral. The hall of Paradise has a larger volume than the Cathedral of Palma. The tour goes through a balcony where you can see down the Hall of Columns. It then passes through a real forest of columns through which damp and narrow path wanders until a rectangular room with a low ceiling, popularly known as the Theatre. 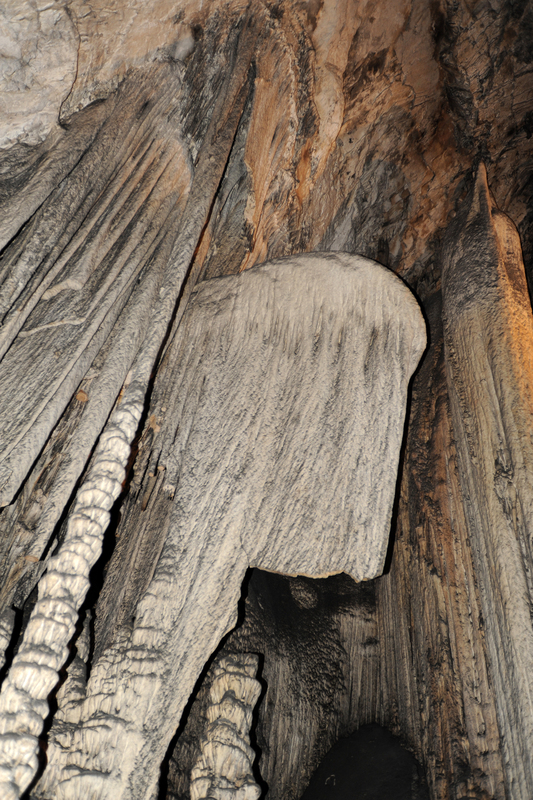 From the ceiling, the wall near the bottom, hanging in a formation resembling a theater curtain, inside which there are other shapes resembling wings. It then enters the room Fina Obra de Mallorca. 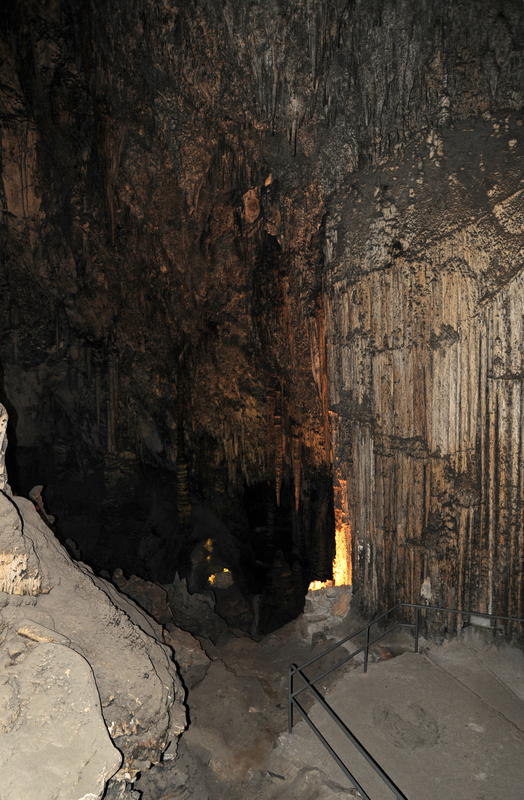 After crossing the room Fina Obra de Mallorca, we take a narrow passage between two dark rocks to reach a majestic room of 45 m height, the Hall of Flags. This room is named after two large limestone formations shaped flags. At the top, you can see a large banner with elegant pleats, rolled on a straight shaft. On the left, another flag hanging behind the columns. Basically, a group of gigantic columns stood like the pipes of a colossal organ. A column of twenty meters high can be seen in the background, bathed in waves of light. On the sides of the room, hanging from the walls of crystallization as the unfolded lace. The Hall of Flags is the last great hall of the visit. Next to the hall is the dining Flags Bells, so named because the columns of the hall produce harmonic sounds when struck. The tour guide usually plays the tune of Big Ben clock in London hitting three columns that produce different notes. This room takes its name from a limestone formation, called "The Stone of Diamond", covered with crystals (presumably silica) which shines in the light. 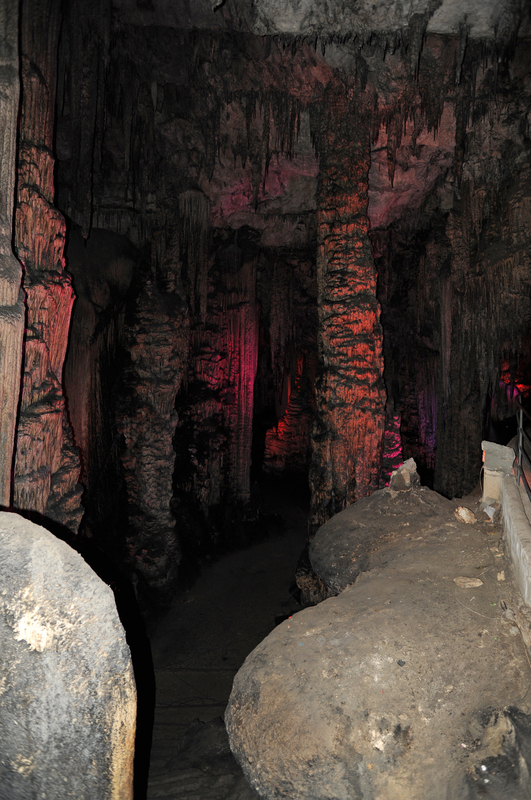 Before the release, the tour returns by the "Lobby", where one can notice the blackened by torches used to illuminate caves for tourists in the 1800s walls. Then follows a staircase where you feel a shortness of breath due to lack of oxygen inside the caves, then we begin to see the light of day, and finally, it is the glare of the Mediterranean sky after the darkness of the caves. 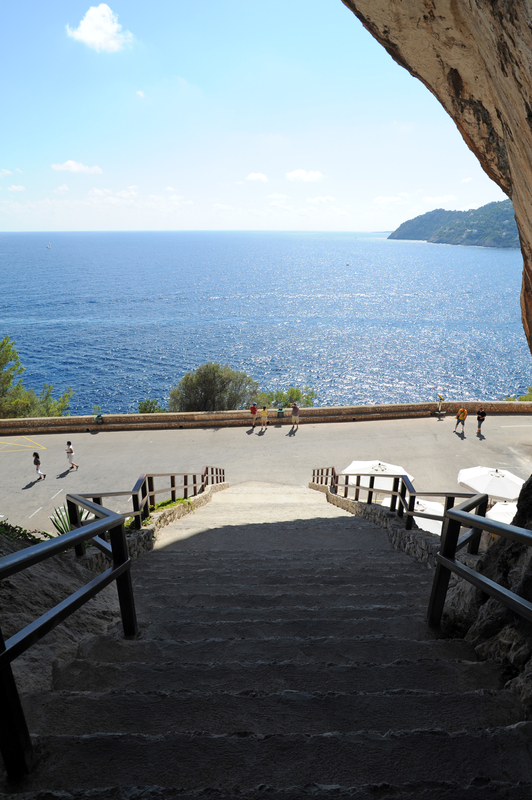 It is the natural entrance to the caves of Artà, with a spectacular view of the Bay of Canyamel and the Cap des Pinar. 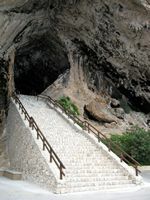 The stairs that allow the court to reach the caves were built on the occasion of the visit of Queen Elizabeth II in 1860. 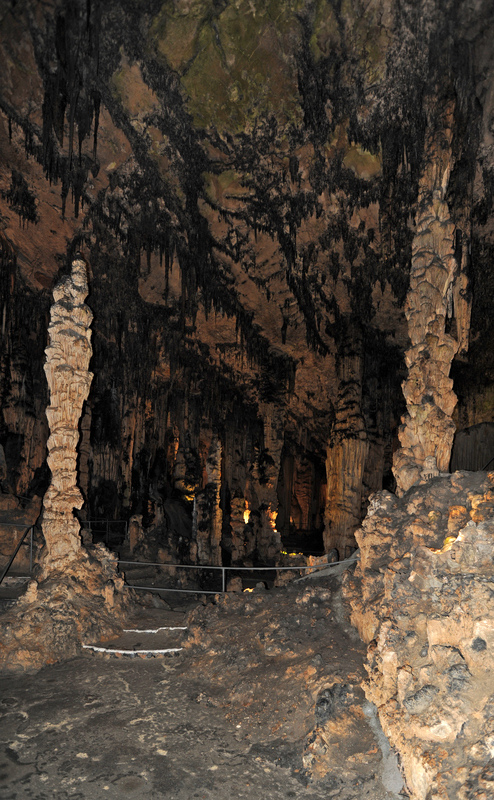 Artà caves were inhabited or visited by man since ancient times. 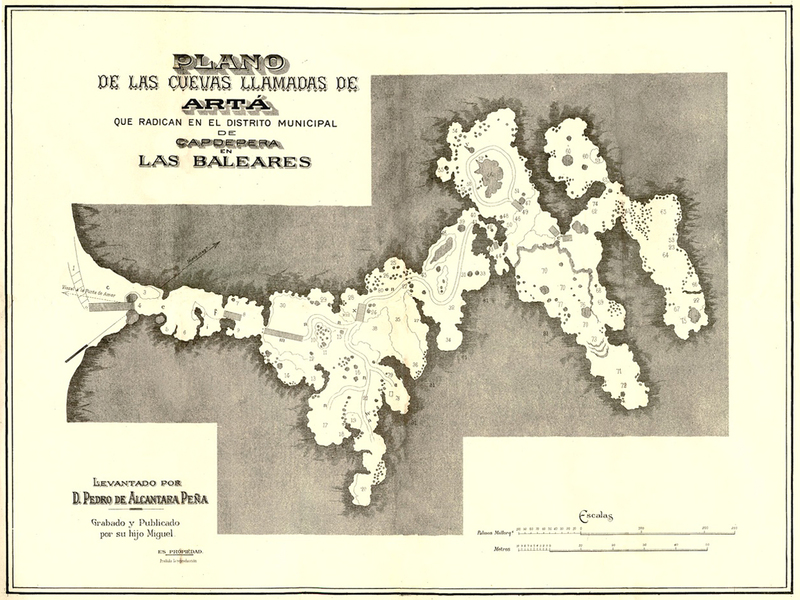 It is here that found refuge in 1229, the last Moorish soldiers during the reconquest of the island of Mallorca by King Jaume I of Aragon. 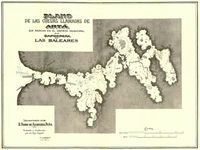 Later the caves were used as shelter by Moorish pirates. Some inscriptions found in caves dating from the sixteenth and seventeenth centuries. 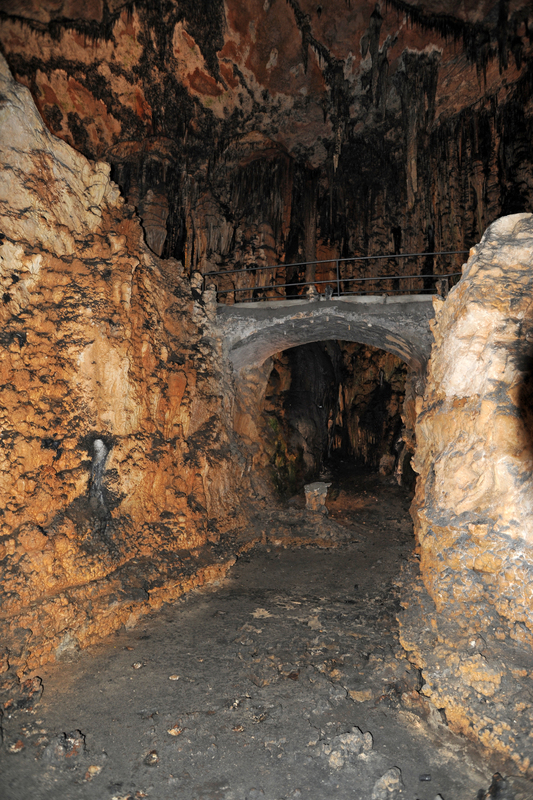 But this is probably a priest, Father Juan Garau y Serra, who first, explored the caves of Artà, between 1806 and 1808. Artà caves were visited by some famous people like novelists Jules Verne, the caves which have inspired his 1864 novel "Journey to the Center of the Earth", Victor Hugo, Alexandre Dumas, the actress Sarah Bernhardt, the man state Antonio Maura y Montaner and the Archduke Luis Salvator of Austria (1847-1915), which details his visit to the region in his book "Die Balearen" or the Majorcan poet Miquel Costa i Llobera (1854-1922) who dedicated the caves of Artà his book "La deixa del geni grec" (1900). 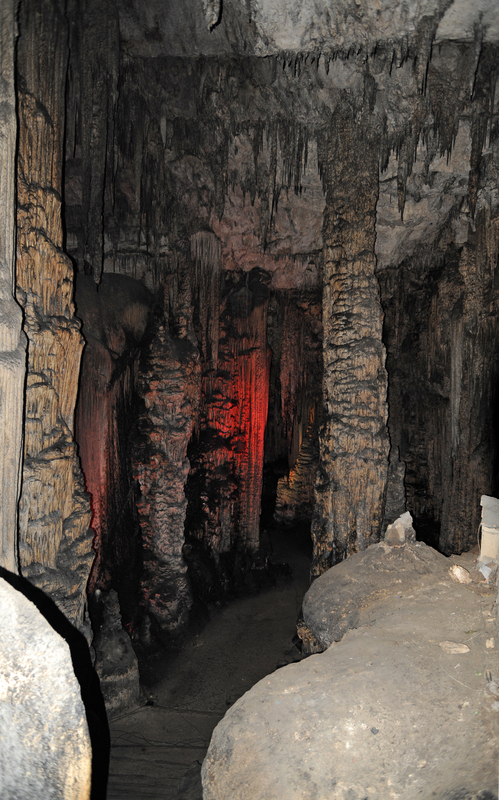 From 1869, the caves were developed for tourism, at that time, the visit was done with oil lamps. 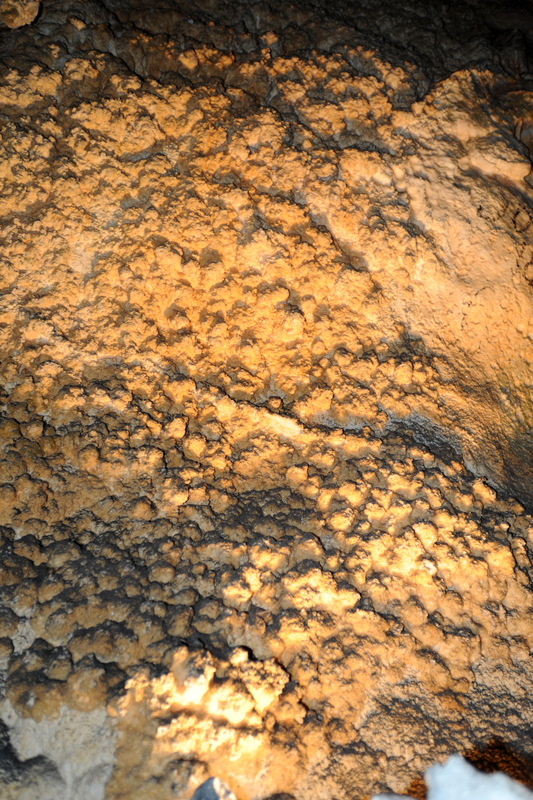 Hidden within stones, rocks and mountains, there are depressions or crevices of varying size. Even in the most compact minerals, tiny cavities - the result of various phenomena - are visible to the naked eye. 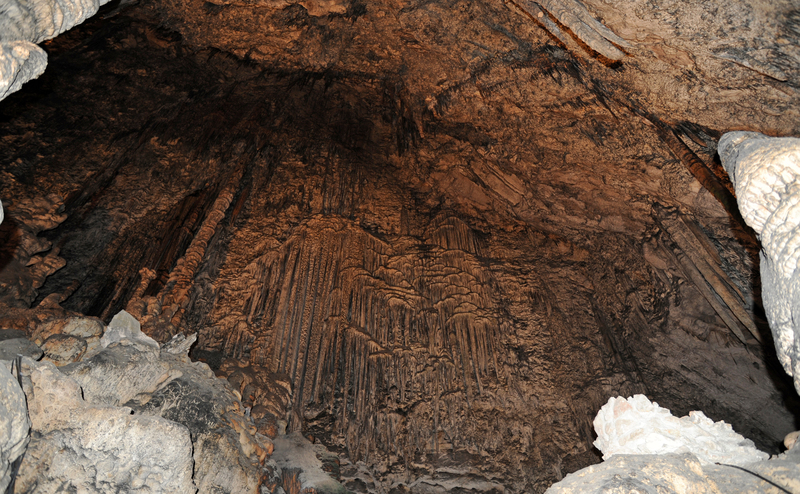 In the mountains, it is not uncommon to find these cavities of various shapes and sizes, some of which are completely closed while others have openings to the outside, more or less blocked by landslides. The origin of these cavities is in the following phenomena: sudden dislocations of the earth and constant action of groundwater. 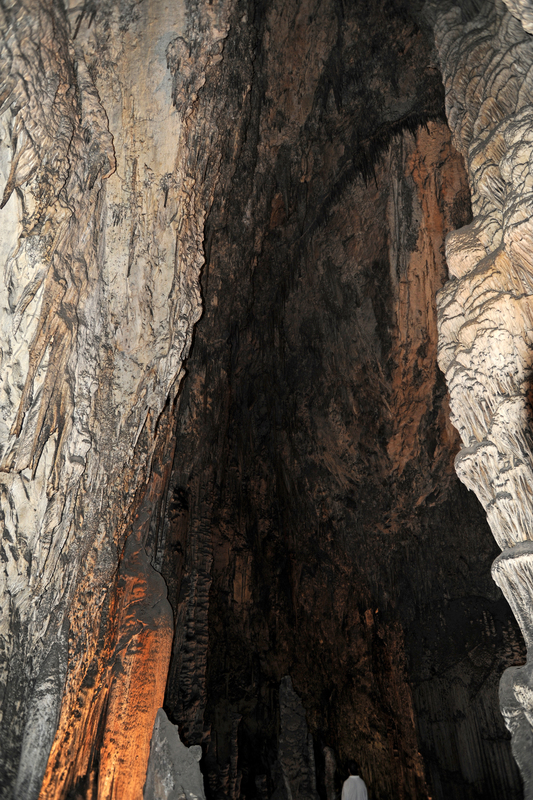 The formation of mountain ranges, in different geological periods, and earthquakes are two of the main causes of the formation of caves. 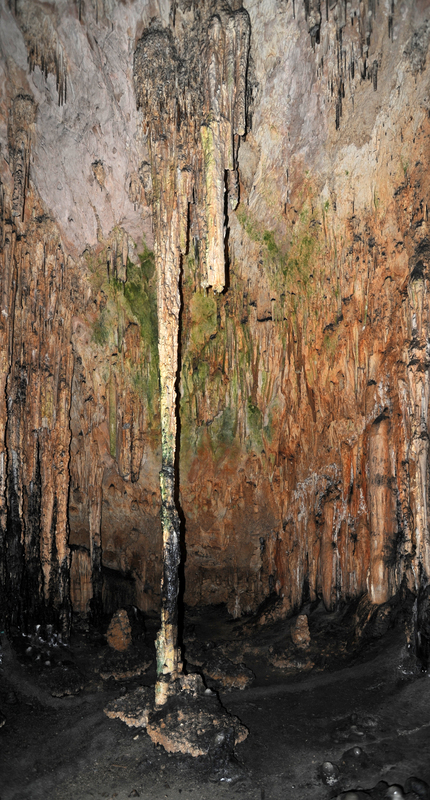 Surface water flowing along slowly undermines impermeable clay layers above the soil until they eventually collapse, leaving a space covered by other layers, or calcareous tufa, which are supported by their arcuate shapes. 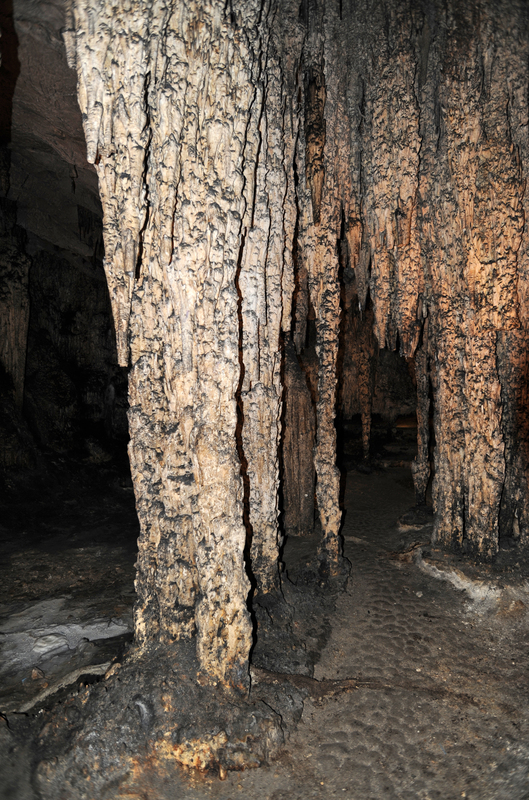 The formation of caves is observed in almost all known types of terrain, but they are most abundant in limestone rocks, where they acquire gigantic proportions and taking extraordinary forms. 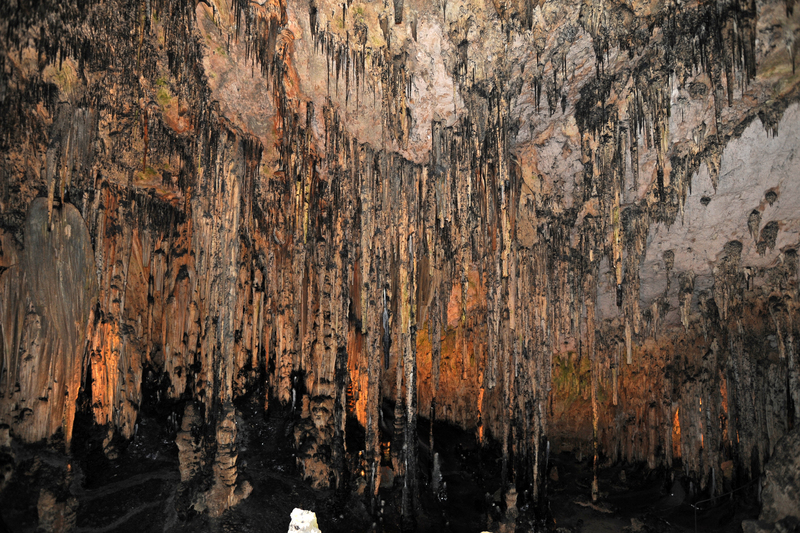 If the caves do not have an opening to the outside, the water penetrates the walls produce the same effects. 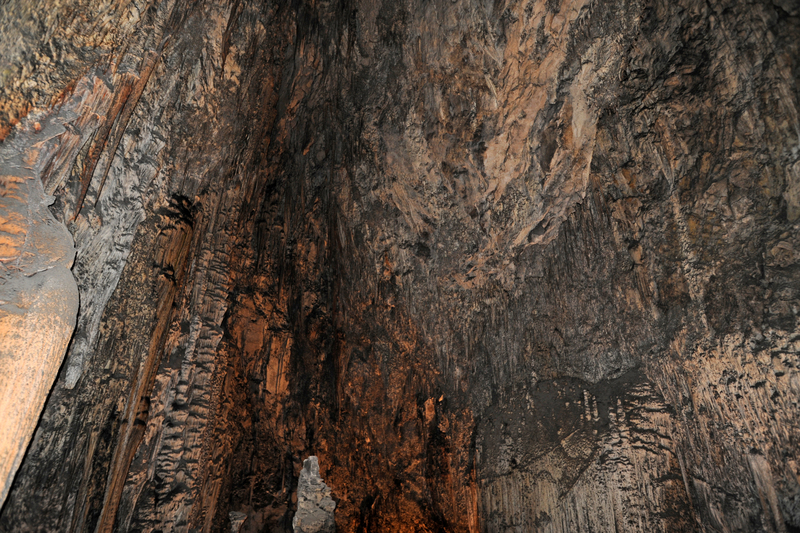 Once the cave is formed, as a result of one of the mentioned phenomena, the water flowing over the cave containing bicarbonate and calcium addition to small amounts of magnesium, filtered slowly through small cracks, giving rise to the following phenomena: when a drop of water appears on the ceiling of the cave, she leaves - because of the excess carbon dioxide that is released - a deposit of calcareous material it contained in solution : This is the material from which a stalactite forms slowly (stalactite: Greek stalaktos, "which drips"). 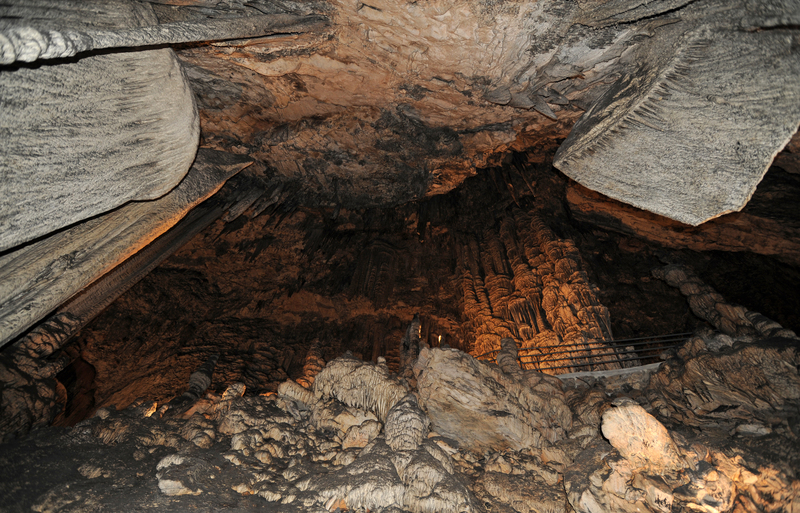 When the drop falls to the ground, it still contains calcium bicarbonate, which is deposited on the floor of the cave to form the stalagmite. After many years these two teams may eventually meet and form a solid column, which often have a bizarre and fantastic shape. 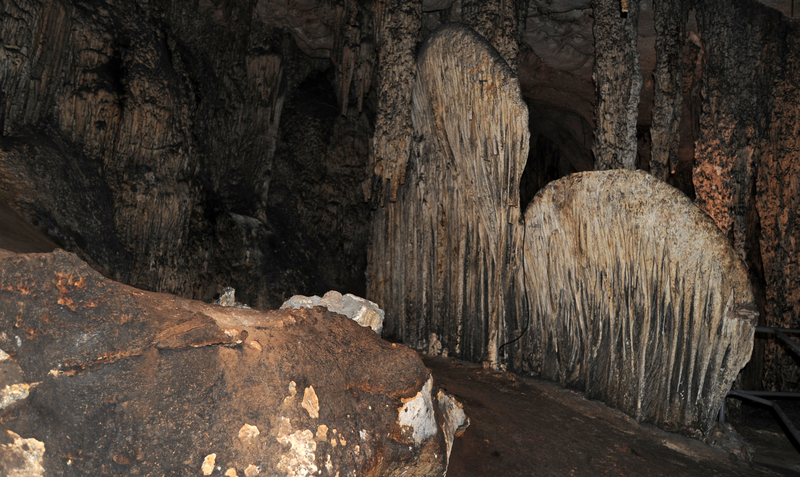 Moreover, before evaporating the drops fell to the ground slide, creating a hard surface winding forms the floor of almost all caves, and under which there is a clay soil often contains a considerable number of bones of extinct as well as remains of primitive tools men animal species. 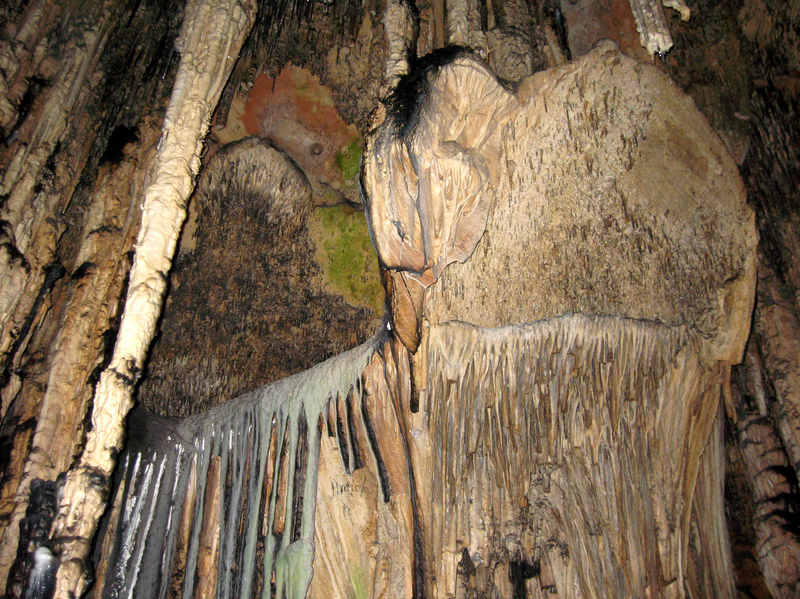 The age of speleothems (term for all types of formation of caves) is not always related to their height. Sometimes it is possible for a stalactite to four meters high have been formed faster than another two meters high, or even a meter high. 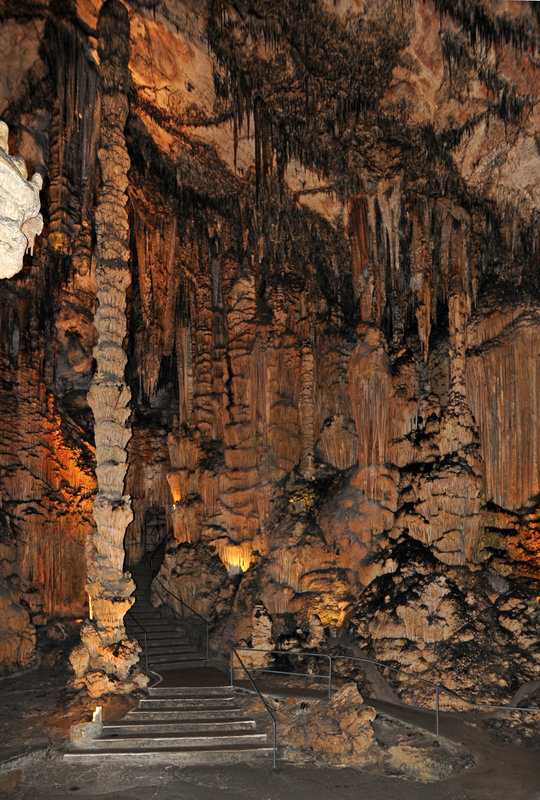 The caves are not only an object of wonder for visitors but also an object of study for scientists found compelling evidence of prehistoric human and many animal species that are now completely extinct. 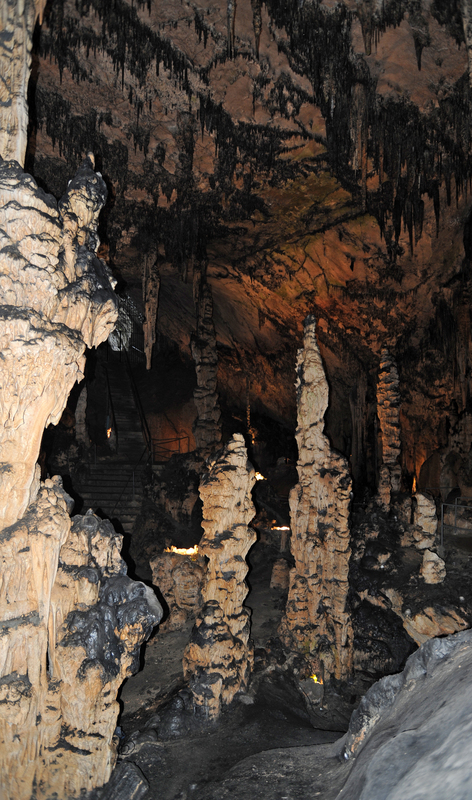 Visiting the caves of Artà is much nicer than the Dragon Caves in Porto Cristo. Here, photos - even flash, but without a tripod - are allowed. Summer hours (May to October): daily, 10:00 to 18:00. Winter hours (November to April): daily, 10:00 to 17:00, except December 25 and January 1. The tour is guided in German, English, French and even Spanish by a multilingual guide able to answer these questions in different languages. The tour - which starts every half hour - lasts 30 minutes. 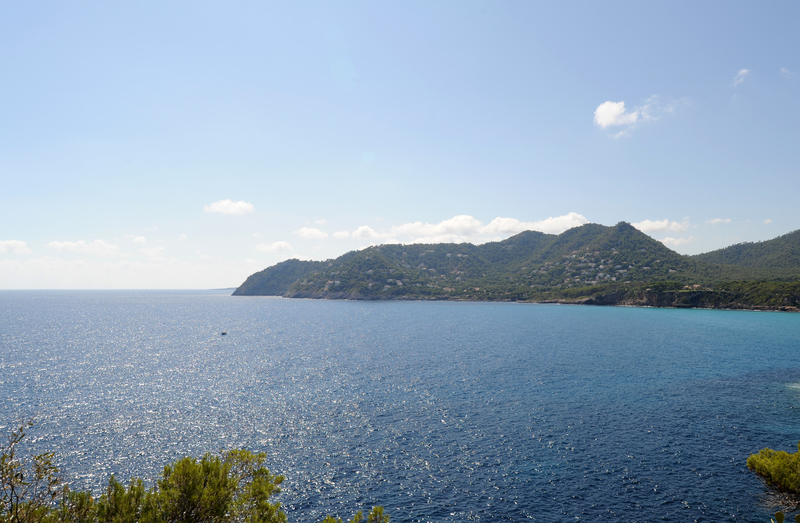 Visits with boat trip are organized from Cala Rajada (€ 12 extra) and Font de sa Cala (10 €).